I had a good experience getting my faulty Nitecore P12 replaced, but where you bought it from may influence your experience. Keep your receipt, even if it’s just an email from Amazon. We use Nitecore P12 1000 lumen flashlights as weapon mounted lights on our rifles. The concussion from the faster shooting and volume of fire resulted in damage to the “flat top” style batteries. It also caused a short according to a Nitecore authorized repair center, which was repaired free of charge. The problematic light would only work about 20% of the time. When it did, it only worked at the lowest intensity setting. After a random number of activations (no more than 5 times) it would stop working. I thought it might be related to heat, but the barrel of the light never got warm to the touch. I couldn’t see any physical signs of damage, so I contacted customer support. Nitecore flashlights are warrantied for five years. I contacted the Nitecore customer service group via email. We communicated a few times over the course of two business days, with an initial same day response time. After some troubleshooting they suggested I return the unit for repair. Nitecore identified the proper service center based on the serial number on the flashlight, so I didn’t have to do any additional research. I sent the light back to nitecorestore.com / Lumen Tactical, a US-based repair center. 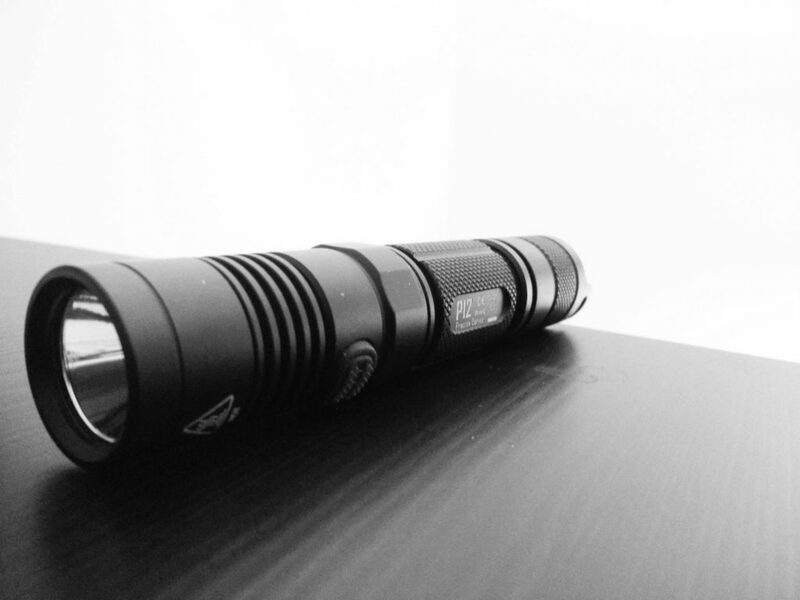 Lumen Tactical gave me some additional steps to try before sending the light back. Unfortunately these didn’t fix my issue. This communication took place over two business days, with an initial same day response time. I mailed my P12 via USPS Priority Mail (my expense), and Lumen Tactical repaired it and sent it back within 8 calendar days. My entire customer experience took about 17 calendar days. A reader told us that they had a bad experience with Nitecore’s official customer service and US service center. I recommended that they contact Lumen Tactical directly, and hopefully their issue was resolved. I strongly advise keeping your receipt for the light / saving the order email. I also think you should write your serial number down if you pocket carry this light. I felt like having the serial number was a shortcut to getting good customer service. If the serial number gets defaced by being in your pocket or through use that might slow down the response time. 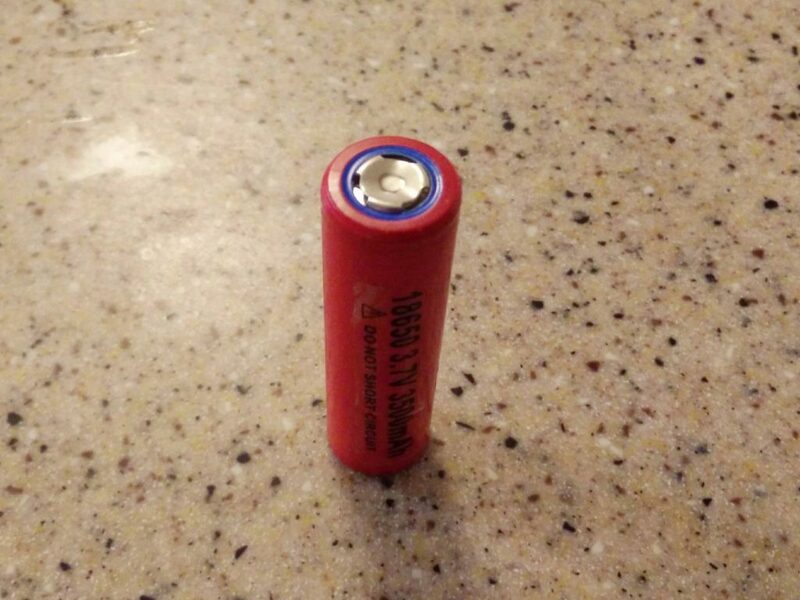 There are three options when using rechargeable batteries: “button” top, flat top, or flat top with a rare earth magnet on the positive end (please see my article and short video for more information). The Nitecore P12 has a plastic “cone” on the positive end, and I believe that the combination of this cone + a flat top battery caused damage to the batteries and to one of our lights. Lumen Tactical stated there was a short in the head unit of the device. They “resolved,” the short, but I’m not sure if that meant replacing a part within the head unit, or replacing the head unit altogether. I’m either going to use button top or flat top + magnet batteries in our rifle mounted lights. I am pleased with the response time from Nitecore and Lumen Tactical, as well as the quality of the customer support. I had already done many of the things suggested by them, but they both had comprehensive suggestions. I was particularly pleased by Lumen Tactical’s suggestions. I felt comfortable disassembling the light and trying their fixes, but I could have jumped straight to the return if I wasn’t. The repair time was great. However, this is another case for owning a backup light. I was able to use the P12 on my force on force SBR AK47 clone until this one arrived. I carry two flashlights on my person, so if the P12 were my main light I could still use my backup.